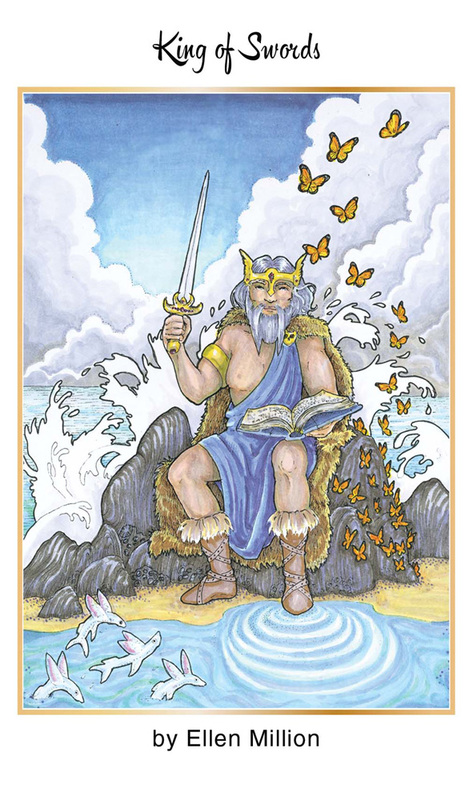 It’s the 6th week of the year and the card of the week is the King of Swords. We have been going through so many accelerated changes that it feels like New Years Eve should be tomorrow. We’re almost halfway through February. Time sure dose fly when you’re transforming! Although these changes are swift, it’s important to keep you wits about you and keep your head on straight. It’s important to have a good mind, body spirit balance to stay in tune and on the right track. But that should be easy since the number of the week is 6, a number of overcoming obstacles. The 7 of Pentacles is a card of steady progress. Keep pushing and you’ll work out the kinks. It’s the powerful Imbolc New Moon in Aquarius and the power of planting the seeds is strong now because of the increased popularity of celebrating Imbolc this year. Moon conjunct Sun at 1:04 P.M. PST asks you to plant the intentions of what you grow in the new space that is being created at this moment. This is expanded by Moon sextile Jupiter at 6:35 P.M. PST. You’ll get a very fortunate big picture look at what is and isn’t working for you. This information will be valuable for you. Moon conjunct Mercury at 11:11 P.M. PST will unblock any communication issues you may be having. Hold whatever that block is tight and then release it. The Moon is in Aquarius all day building up the power to revolutionize your life. The number of the day is 9, a number of near completion. Mantra: The future has so much potential. Spin the Wheel of Fortune again! This was the card of the week last Tuesday. You won a lucky turn. What do you wish for? Moon sextile Mars at 5:49 A.M. PST is a transit that brings bravery and leadership. Take the chance you’ve been waiting for today. Moon sextile Uranus at 3:59 P.M. PST is a transit that brings revolutionary changes and awakenings. Don’t reason your way out of what you know. Moon sextile Venus at 11:33 P.M. PST encourages you to fill your heart with love and give thanks for the abundance you have. The Moon is void of course in Aquarius between 3:59 P.M. PST so let the revolution flow right into Pieces. The Moon will carry you downstream from 6:02 P.M. PST onward. The number of the day is 1(0), a number of endings becoming beginnings. Mantra: My luck is on the up and up. 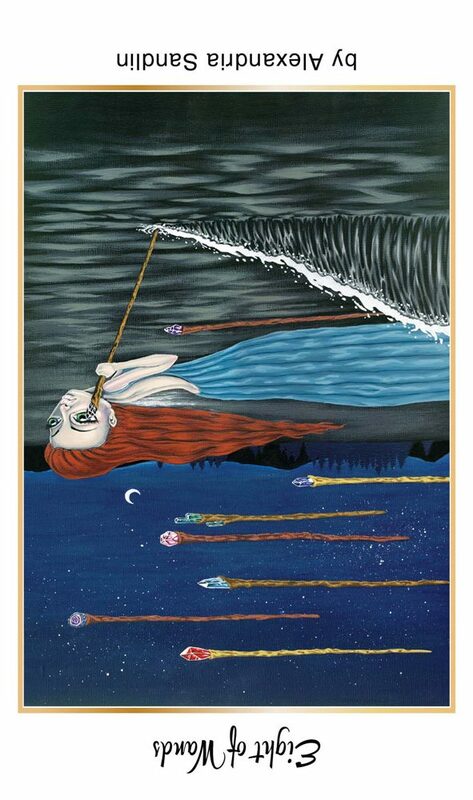 The 8 of Wands upright is a card of swift change and action. 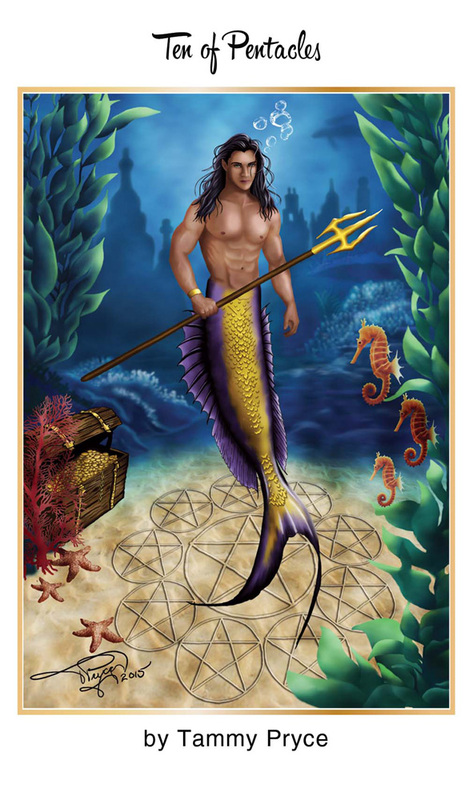 But because the Moon is in Pisces, the changes that come about today will feel like natural transitions. Everything will seem to come easy today and life may feel dance and you have the opportunity to make a splash. The number of the day is 2, reminding you that the Universe can be your dance partner if you stop fighting. 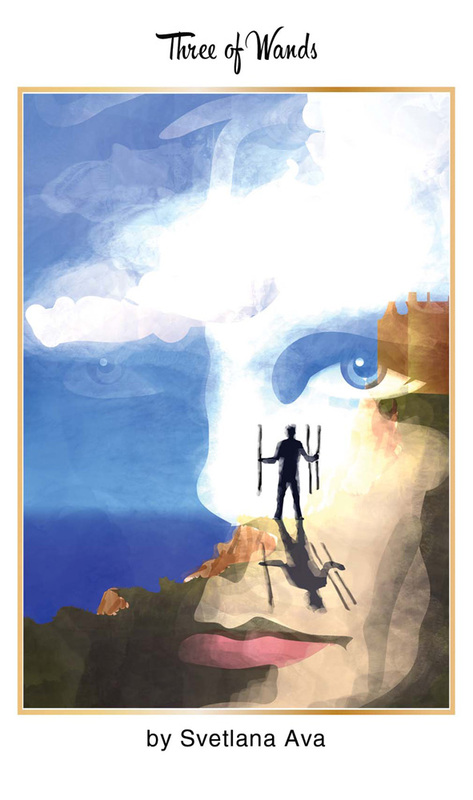 The 3 of Wands is a card of things moving on the horizon. 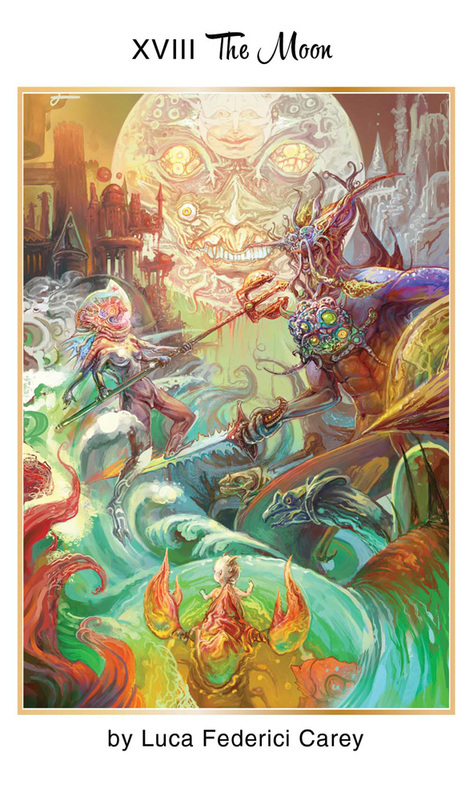 This is also a repeat card from last week appearing to let us know that there is more yet to come. Whatever you’ve been calling into your life is on the way and there are even more surprises in store. Moon conjunct Neptune at 12:43 A.M. PST is a transit that will heighten your sensitivities in a subtle way. Pay attention to what perks your senses today. Moon sextile Saturn at 1:44 A.M. PST is a transit that brings up conversations that need to be had. If you are asleep during this transit, the themes may appear in your dreams. Moon square Jupiter at 8:16 A.M. PST is a transit that uplift the seriousness from earlier and help you see the potential in change. Moon sextile Pluto at 2:13 P.M. PST is a transit that unravel those deep feelings and expose them for what they are. Sun sextile Jupiter at 4:33 P.M. PST is a very lucky transit. Visualize what you want and see it coming to you. Your will will be done in a state of cosmic communion. Mercury sextile Mars at 5:25 P.M. PST is a transit that will keep you busy from this burst of energy from the Sun/Jupiter transit. Illuminate your thoughts. 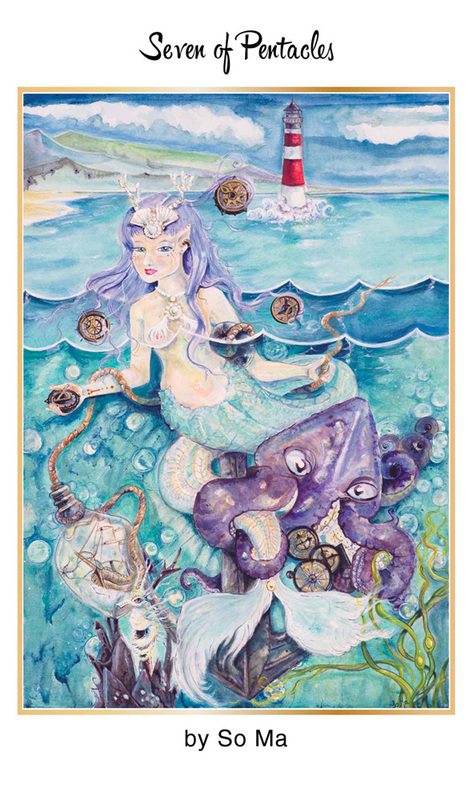 The Moon is in Pisces all day but She does go void of course at 2:13 P.M. PST. Just float on. The number of the day is 3, a number of life, light and love. Mantra: It ain’t over yet. The King of Cups upright is your classic sensitive man but reversed he’s a total wreck. He can be manipulative and drama seeking. The King needs to be shown compassion because inside, he’s still the page that didn’t reach maturity. Moon square Venus at 6:21 P.M. PST is a transit of social interactions. If something or someone opens an old wound, treat yourself with the love you deserve. The Moon enters the fiery sign of Aries at 6:34 A.M. PST. Keep the fire contained. The number of the day is 4, a number of stability. Mantra: It’s not my fault. 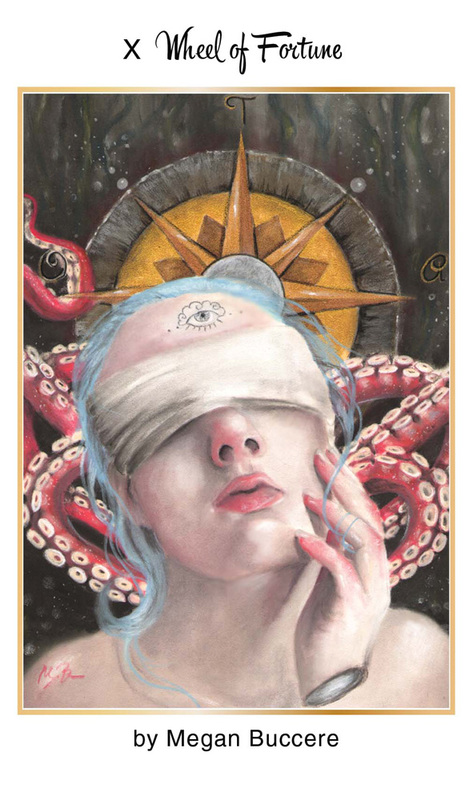 The 10 of Pentacles is a card of a job well done. You’ve reached a major milestone and it’s time to congratulate yourself. You didn’t get here without hard work and you deserve this. Moon square Saturn at 2:06 P.M. PST is a transit of fleeting depression. It’s time to take a good look around you. Things aren’t nearly as bad as you think they seem. Mercury sextile Uranus at 2:53 P.M. PST is a transit that will bring resolution through new discoveries and encounters. Try something new and different today and you may be surprised at what you discover. Moon trine Jupiter at 8:42 P.M. PST is a transit that brings good luck and friendly energy. It’s time to celebrate. The Moon is in the passionate sign of Aries so let your soul be set on fire. The number of the day is 5, a number of overcoming obstacles. Mantra: I have the power to shape my future. The Moon is a card of astral influences but be careful of what’s hiding in the shadows. Moon sextile Sun at 12:39 A.M. PST is a transit of happiness and harmony. Let the light illuminate the Moon. Moon square Pluto at 1:50 A.M. PST will reflect your true desires to you. Mercury enters Pieces where He will stay until 04/16/19 (extra long stay due to Mercury Retrograde. 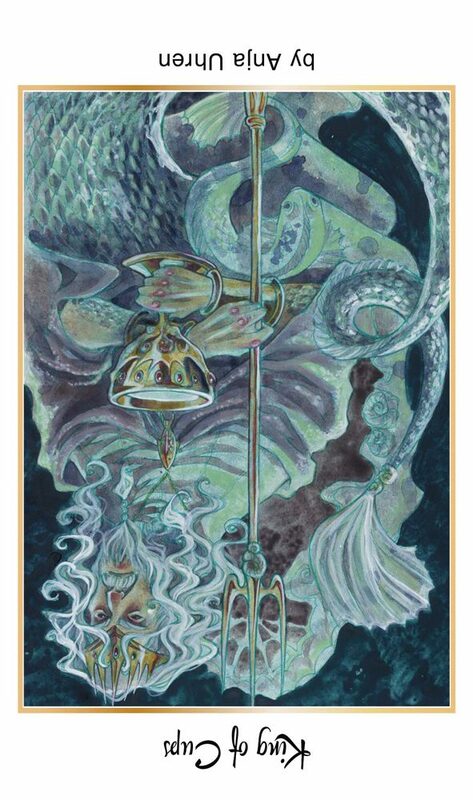 Preshadow period starts 02/19/19) When Mercury is in Pisces, approach everything with a gentle touch. This is the time to embrace the poetic side of life. It may be useful to keep a journal to keep things on track and record the beauty in what you experience. However, don’t let your visions cloud the truth. Moon conjunct Mars at 12:48 P.M. PST is a transit that could bring tensions that burst under Moon conjunct Uranus at 3:48 P.M. PST. Moon sextile Mercury at 7:57 P.M. PST will give you the voice to speak your truth. The Moon is void of course between 3:48 P.M. PST and 5:28 P.M. PST when She enters the loving sign of Taurus. Love will light up the night. The number of the day is 6, a number of victories. Mantra: It’s always the darkest before dawn. This entry was posted in art, Astrology, dreams, Nautical Tarot, numerology, occult, self help, spirituality, Tarot, Uncategorized, witchy, Writing and tagged abundance, art, astrology, card a day, divination, dreams, empowerment, inspirational, love, magick, manifestation, mantra, meditation, metaphysical, motivational, mysticism, numerology, occult, pagan, predictions, psychic, self empowerment, self help, spiritual, tarot reading, tarot weekly forecast, wicca, witchcraft, witchy, writing. Bookmark the permalink.